Balance sebum and tone skin with this blend of rainforest botanicals, natural oils, and our Organic Seaweed Elixir™. 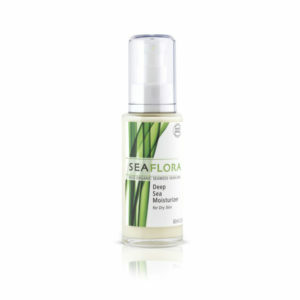 With the highest concentration of seaweeds than any other Seaflora moisturizer, your skin will stay hydrated and radiant. Visible signs of aging are reduced and elasticity is restored. Apply as needed, morning and night on clean, dry skin as part of your daily face care regime. 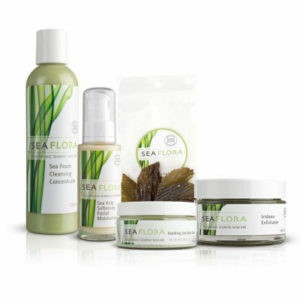 For best results use following Seaflora Facial Cleanser and Sea Spray Splash Toner. Massage gently until fully absorbed. Suitable for normal, combination and oily skin types. Love, love, love this moisturizer. Fragrance-free, doesn’t irritate my already irritable skin, and you know what? I have seen a great improvement through using this product with the appearance of my skin. It is more balanced, bye-bye breakouts! !